Dickerson pursued the acquisition of the mill as he noticed a change in the industry’s demands. Henry County’s Redevelopment Commission (RDC) and the New Castle Henry County Economic Development Corporation (EDC) provided the funding for the mill. The HAAS Mini Mill arrived in late February with the help of Mideastern Machine Movers, who donated the time and equipment to move the mill from the truck and bring it inside the Machine Trades work room. The installation process is extensive and should be nearing completion by the time students return from spring break April 8. Crown Equipment has unofficially adopted the Machine Trades class, according to Dickerson. Crown uses a similar type of mill and has offered to send one of their toolmakers when the mill becomes operational to help with downloading programs into the machine. The Mini Mill can create single unique parts or thousands of identical parts. Dickerson already has some projects in mind for his second-year students who will be using the mill this spring. Students will learn how the auxiliary functions work and are programmed. They will train as machine operators, with the opportunity to learn more advanced aspects. Dickerson has already noticed that the mill has helped recruit students for the next school year. 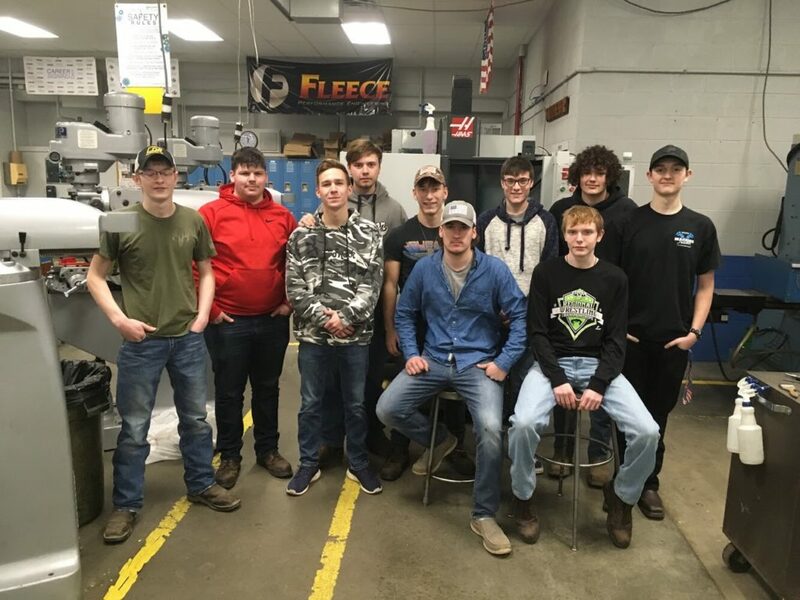 Space is still available in the Machine Trades class for the 2019-2020 school year. Contact the New Castle Career Center for more information, (765) 593-6680. This article was originally published on the New Castle Career Center’s website. Learn more about the Career Center by visiting www.nccareercenter.org and by following the New Castle Career Center on Facebook.